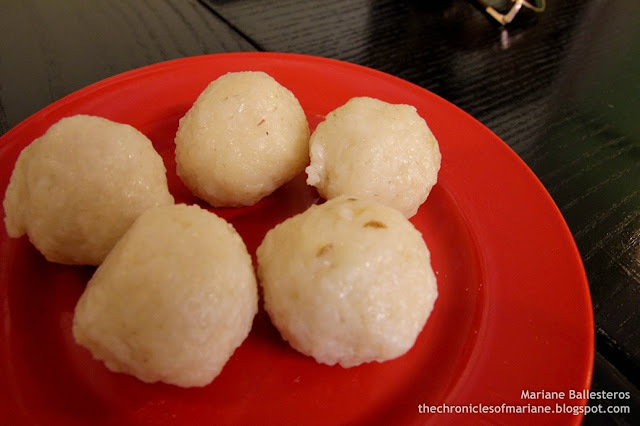 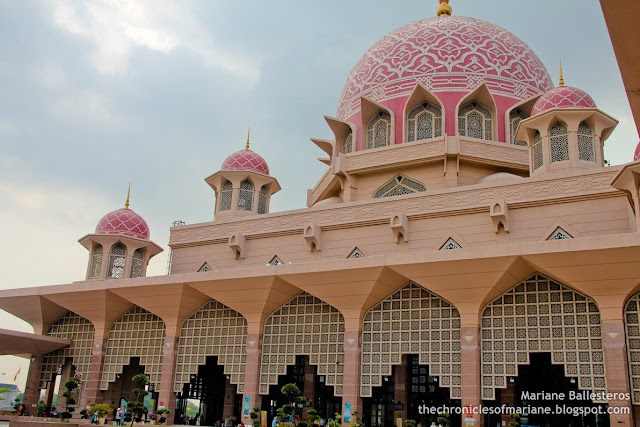 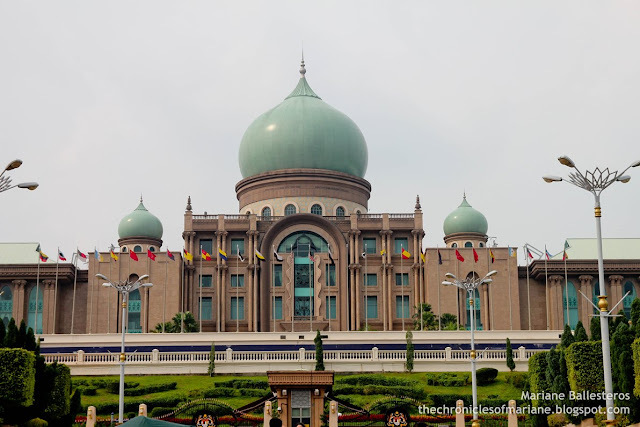 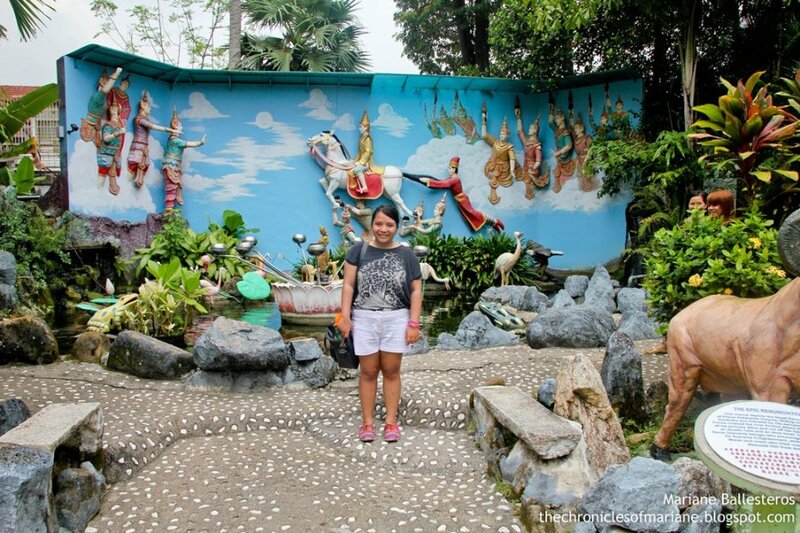 I was left alone alone on my third day, and also left with no plans on what to do, I consulted our host who recommended going to Batu Feringghi. 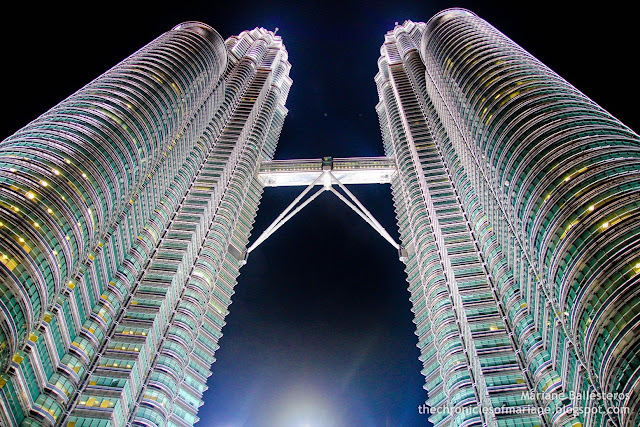 I really wasn't up for it as the weather seemed a bit gloomy (even looked like it might rain) so I discarded the idea. 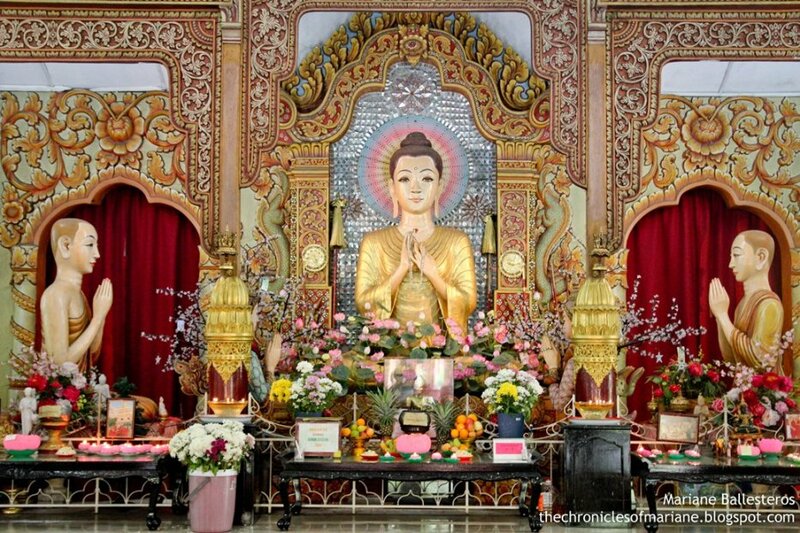 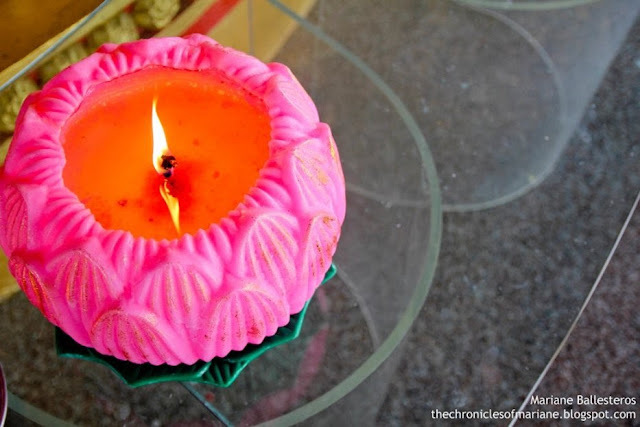 After an hour or so of browsing the internet, I came upon two unique temples located just north-east of Penang that has piqued my interest. 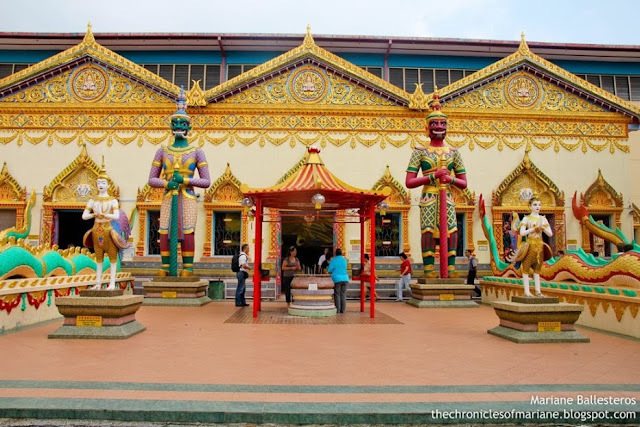 I was off to Lorong Burmah where the temples Wat Chayamangkalaram and Dhammikarama were located. 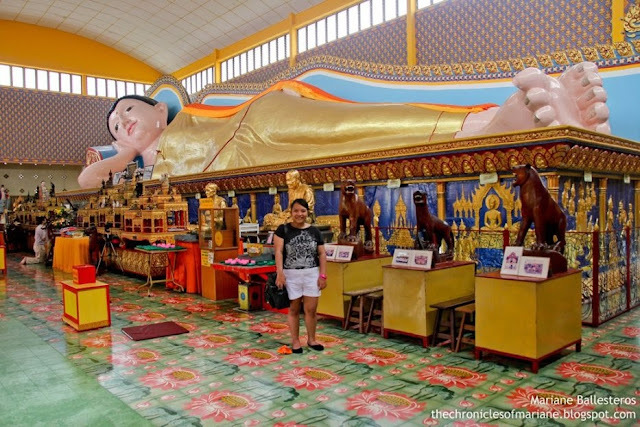 I started off with the more crowded Wat Chayamangkalaram, a Thai Buddhist temple most popular for its Sleeping Buddha statue. 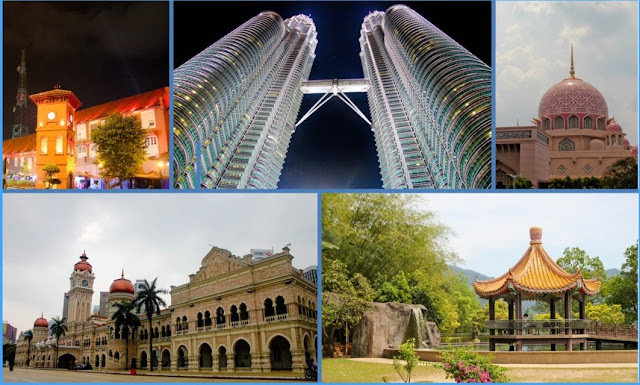 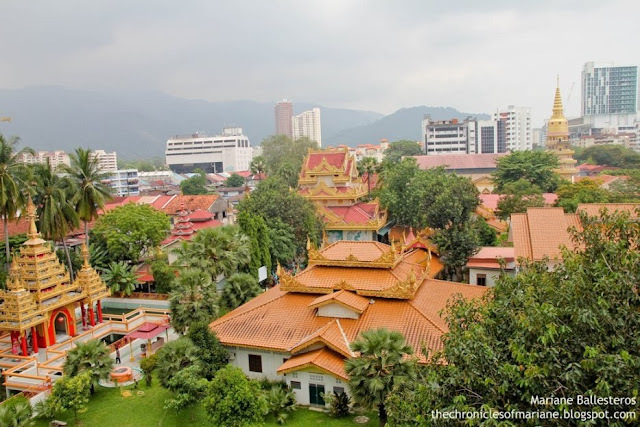 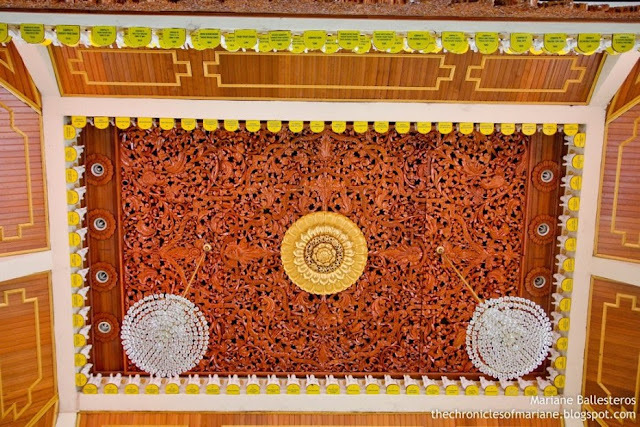 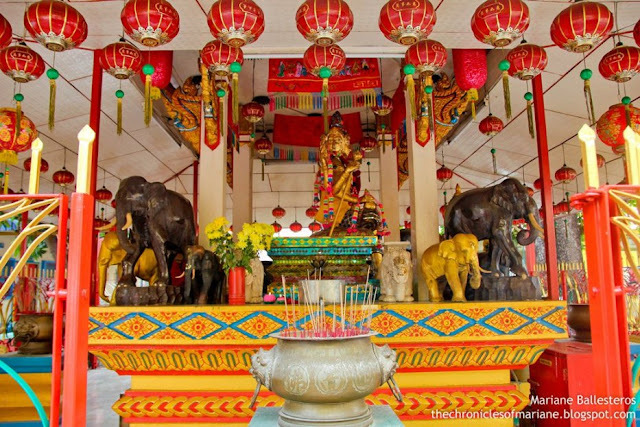 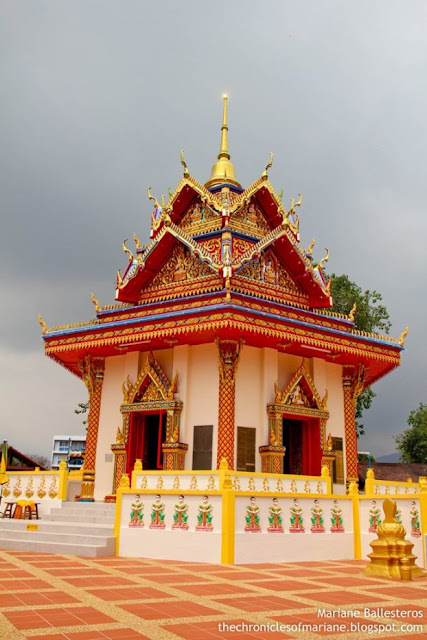 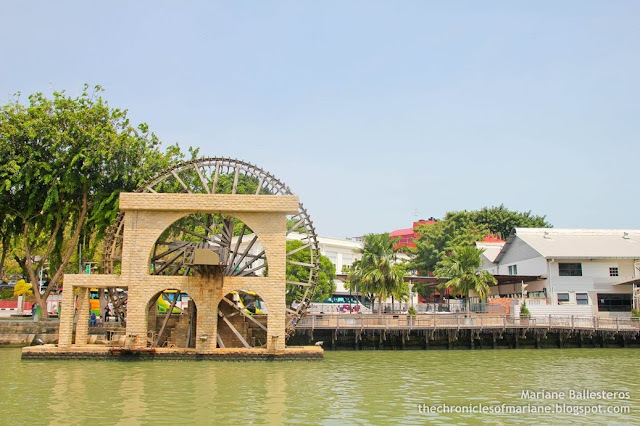 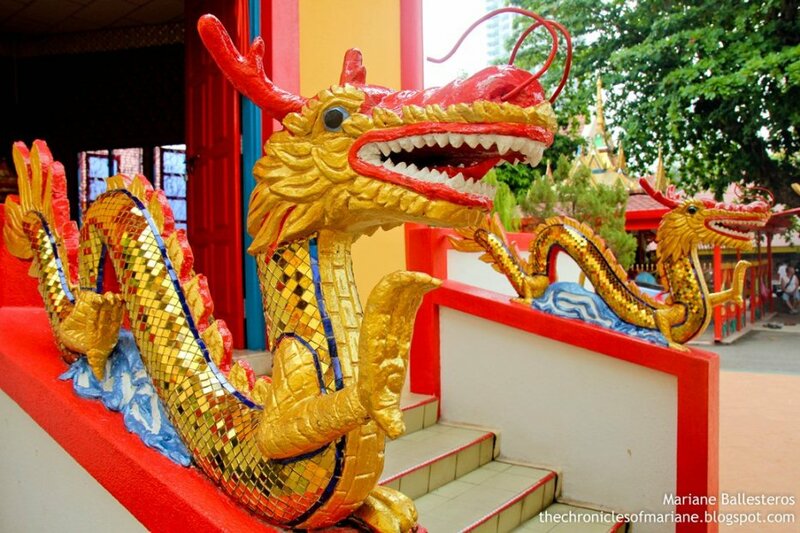 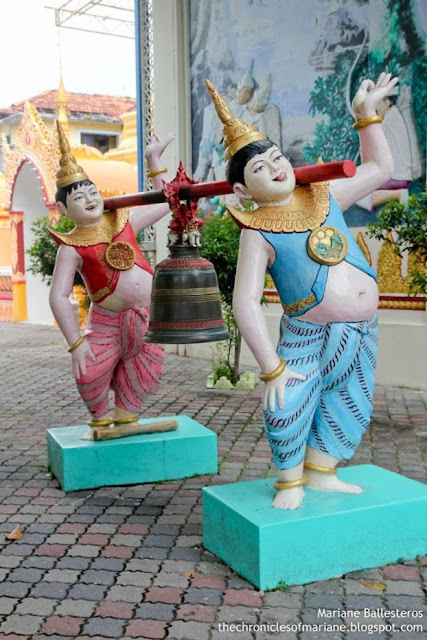 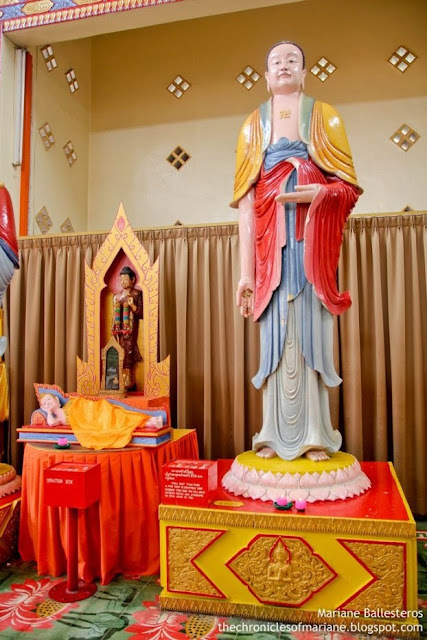 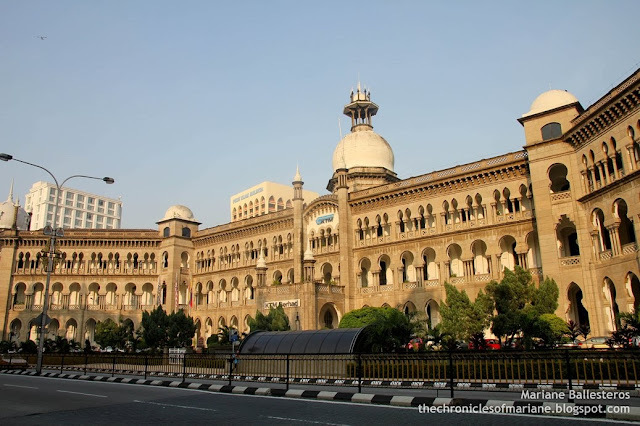 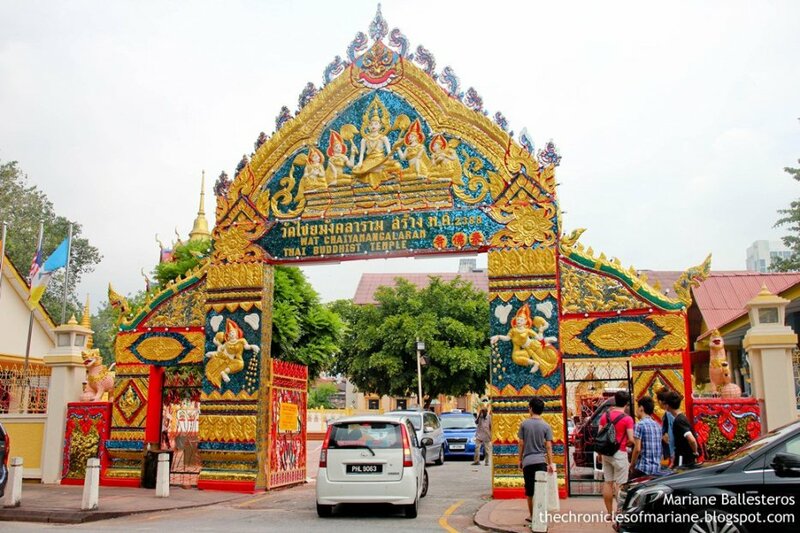 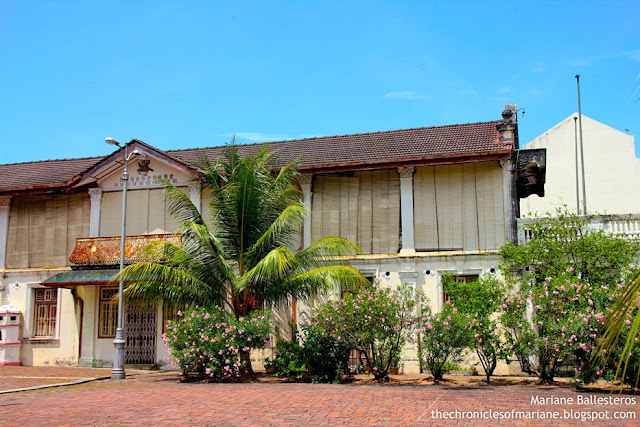 It was built in the year of 1845 during the British reign of Queen Victoria and the land where the temple is located at was donated to the Thai community in Penang as a sign of goodwill. I first explored the small shrines and the Thai cemetery behind the main building. One would be able to notice the various elements distinct to Thai architecture such as the use of very vibrant colors. 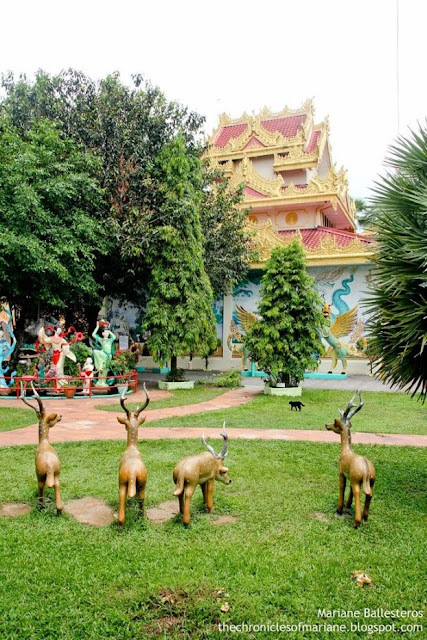 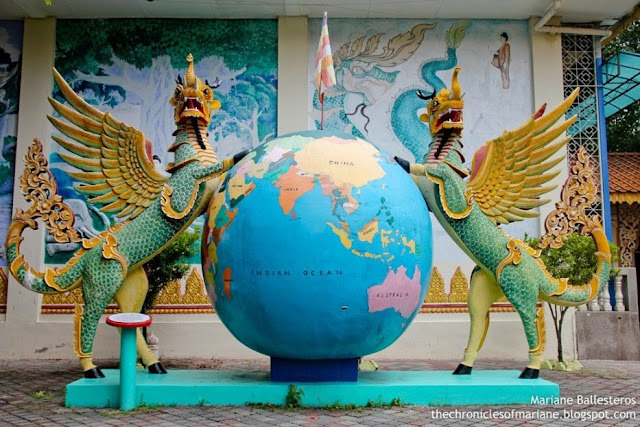 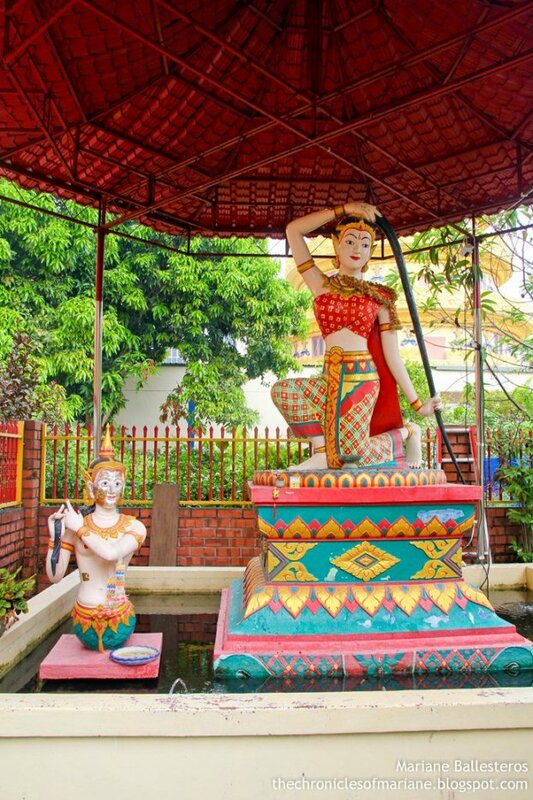 The entire area is also filled with different statues of the Devas and other mythical creatures. 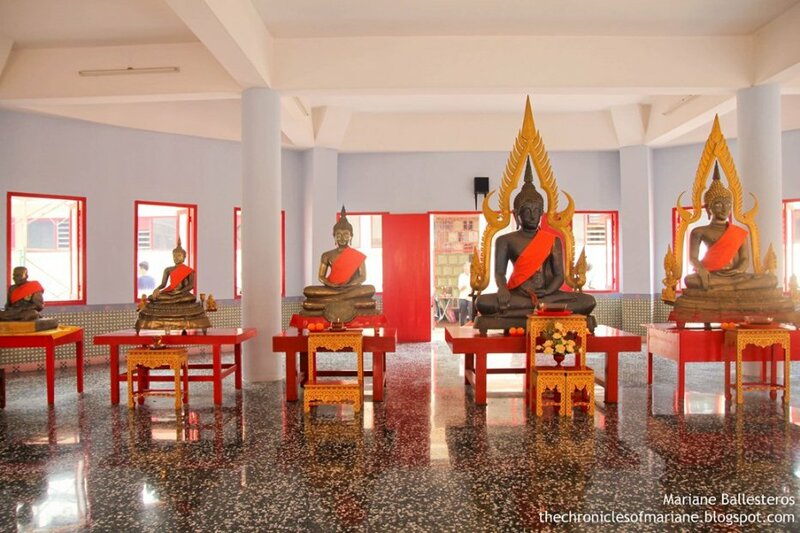 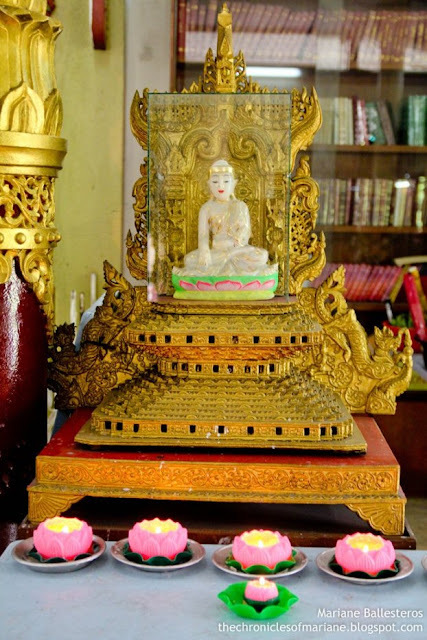 The main temple hall wherein the reclining Buddha can be found is also called the Hall of the Thousand Buddhas. 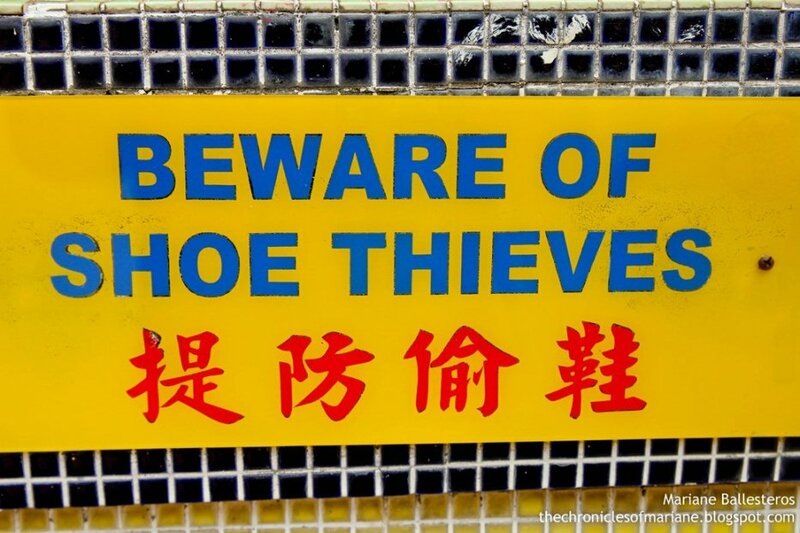 I was required to have my shoes taken off before stepping inside. 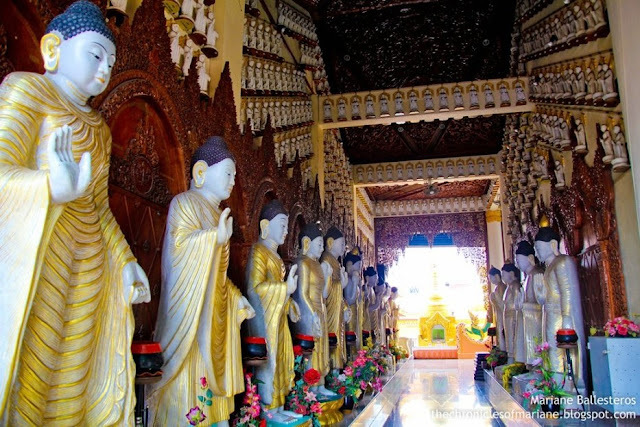 I wandered off to see the mini statues of Buddhas scattered around the temple that displays him in various poses and postures that is said to signify different meanings. 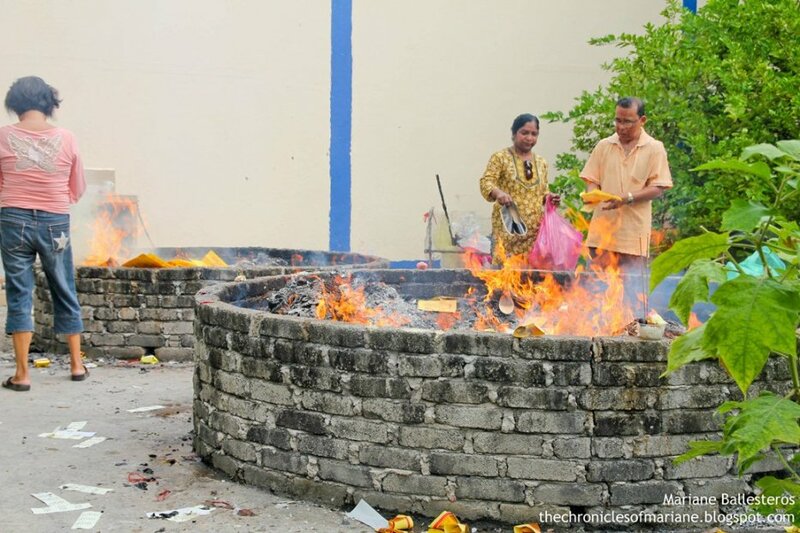 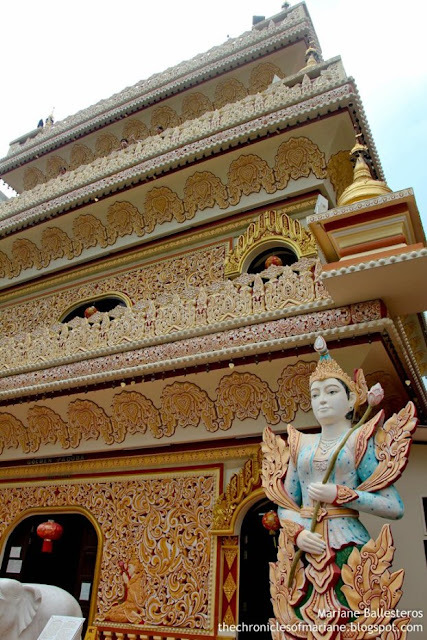 Behind the big reclining statue, one can see a large crematorium that holds the ashes of cremated Buddhist devotees in Penang. 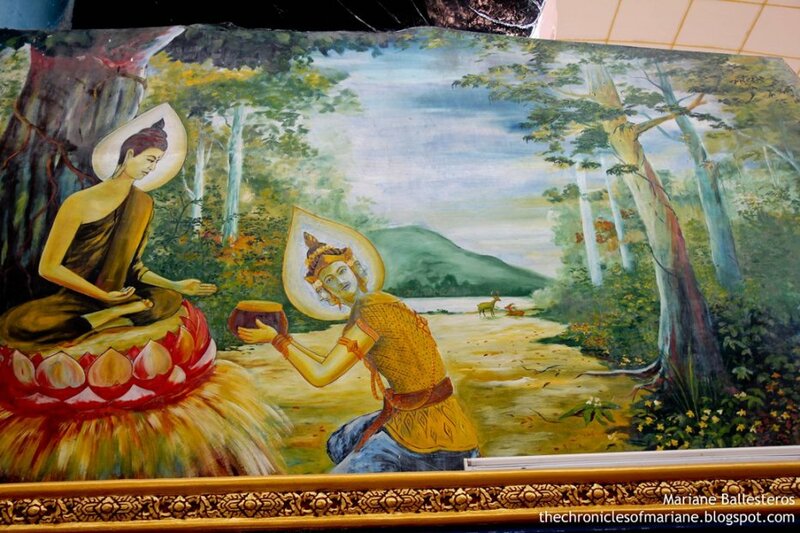 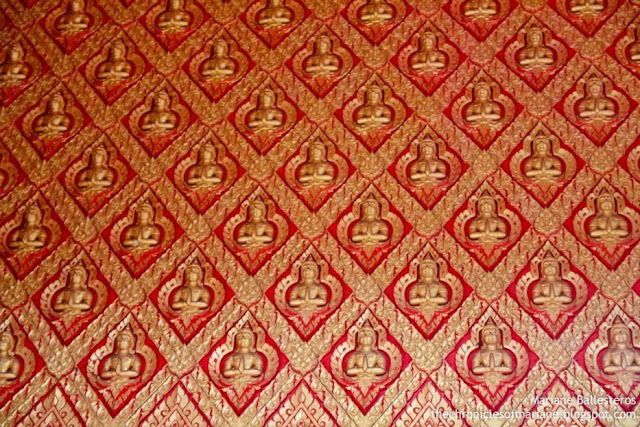 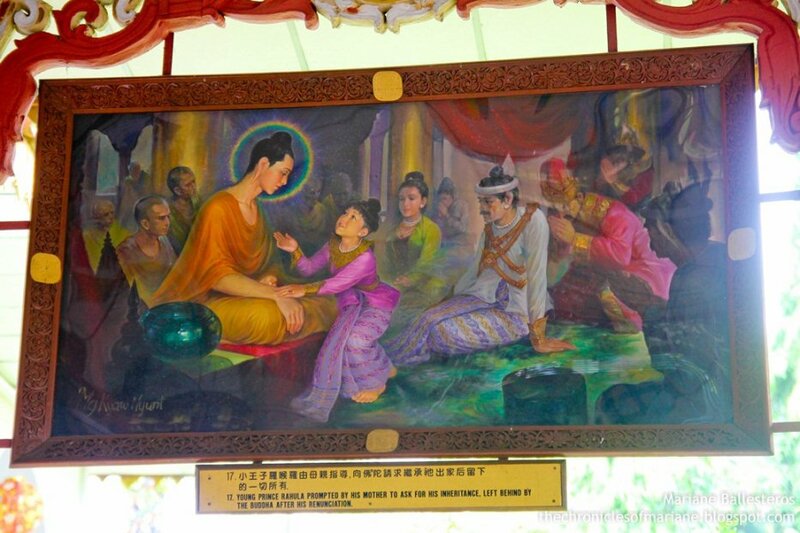 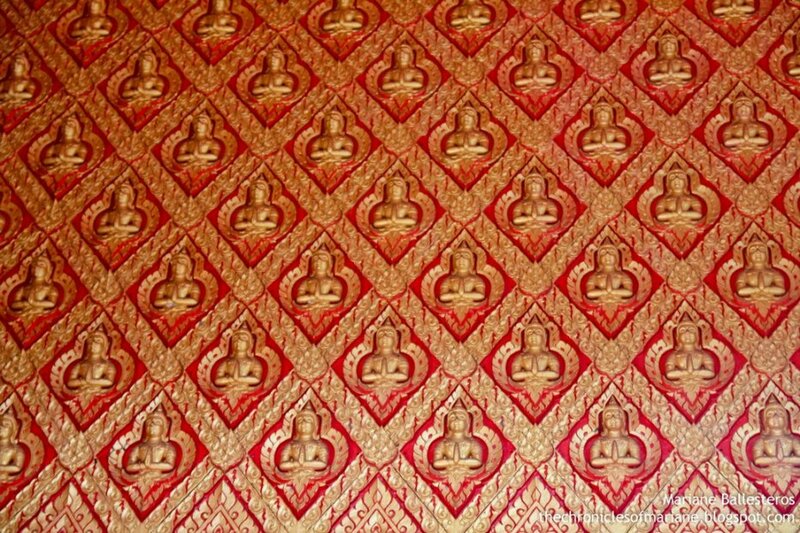 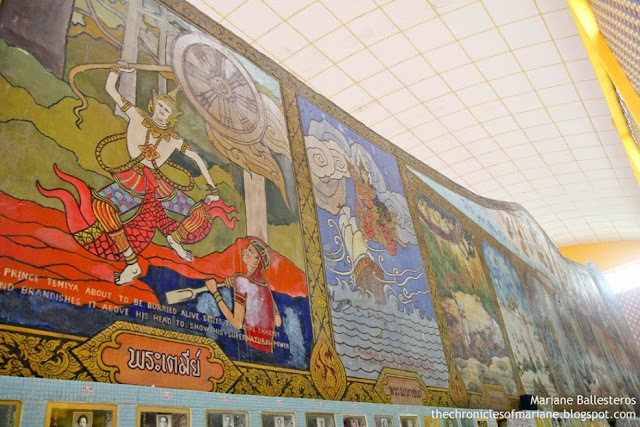 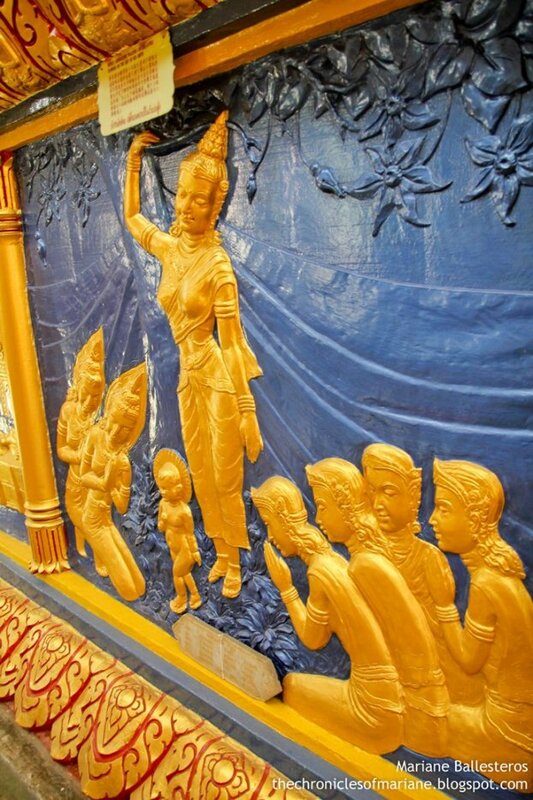 You could also view images intricately painted by Thai artists that depict the life of Buddha. 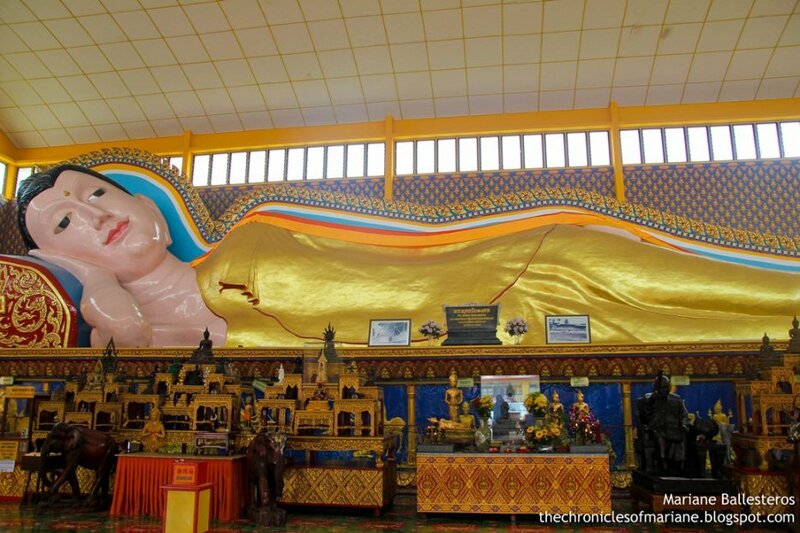 The highlight of the temple is the 180-foot gold-plated statue of the reclining Buddha called Pra Buddhachaiya Mongkul. 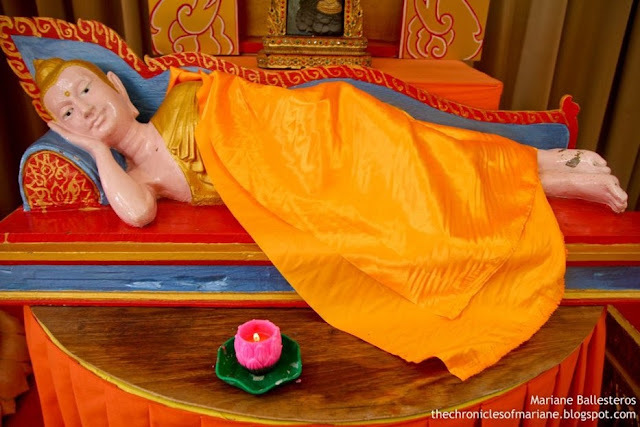 This position is called the Mahaparinirvana, the state of Enlighthenment or achieving Nirvana and symbolizes complete peace and detachment from the world and material things. Just across Wat Chayamangkalaram is another Buddhist temple. 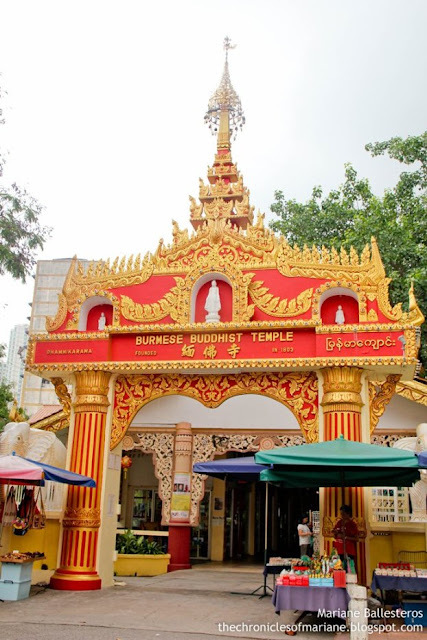 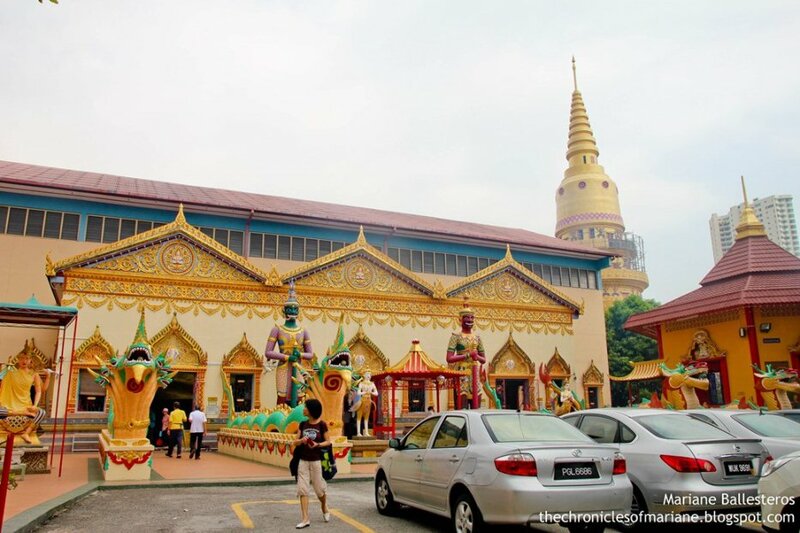 Originally known as "Nandy Moloh Burmese Temple", Dhammikarama Burmese Temple is the first and only Burmese temple located in Malaysia built in 1803. 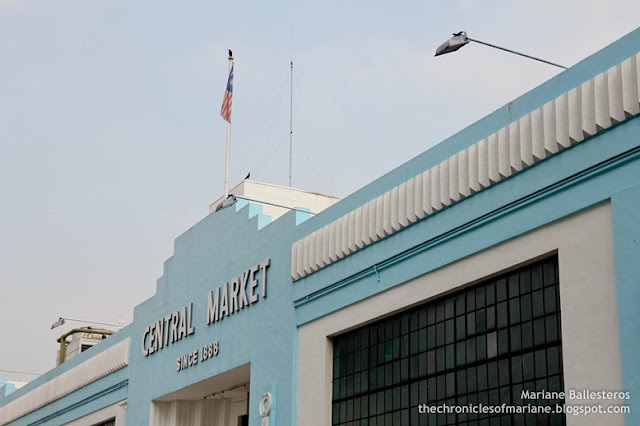 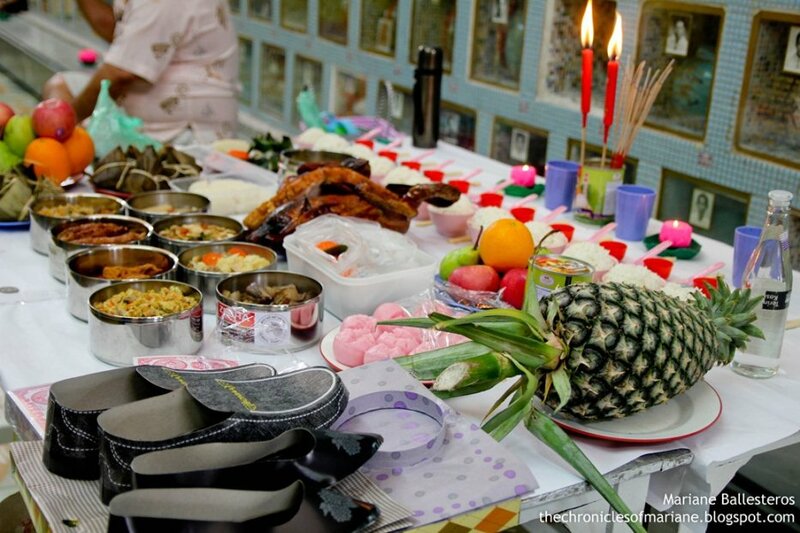 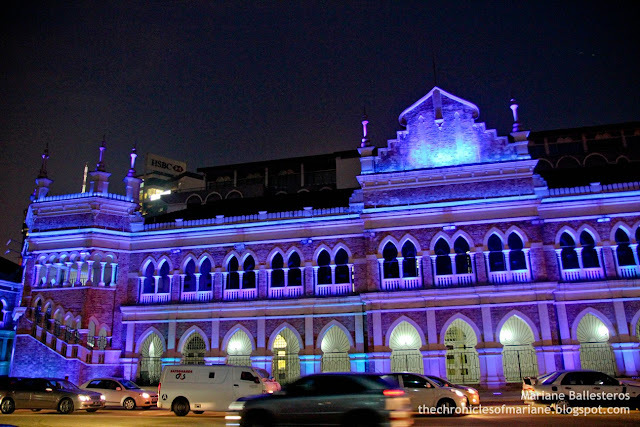 This place of worship has been declared as one of the fifteen historical sites of Penang in the year of 1988. 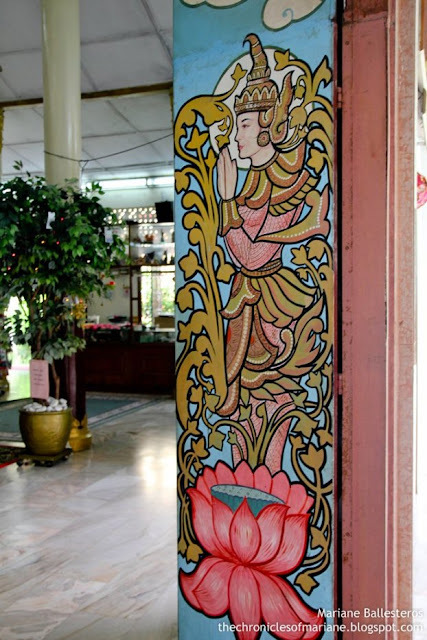 As soon as you enter, you will be greeted by these wonderful paintings, illustrating Siddharta Gautama’s journey to becoming Buddha. I thought Dhammikarama Temple is more spacious. 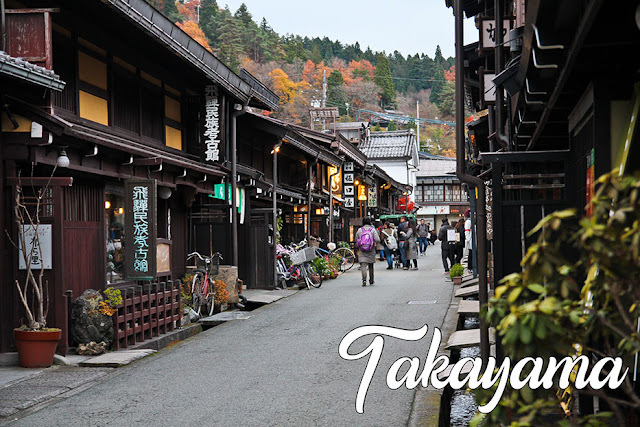 It features a main shrine hall, sima hall, dining hall and canteen for visitors, monk's sleeping quarters, courtyard, and a four storey pagoda! 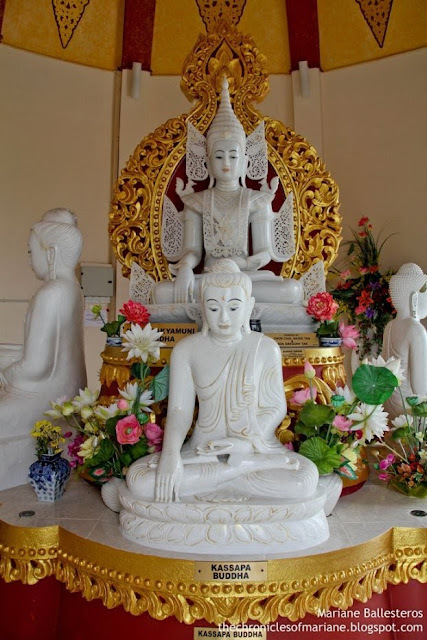 I headed off to the sima hall where one could also see a standing giant Buddha made in marble. 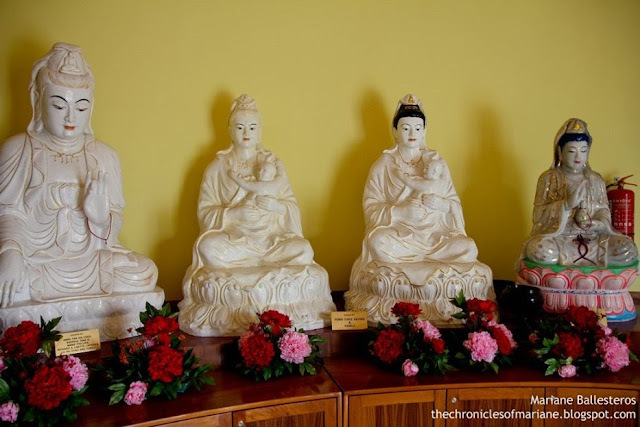 There are also smaller statues that are also made with the same material. 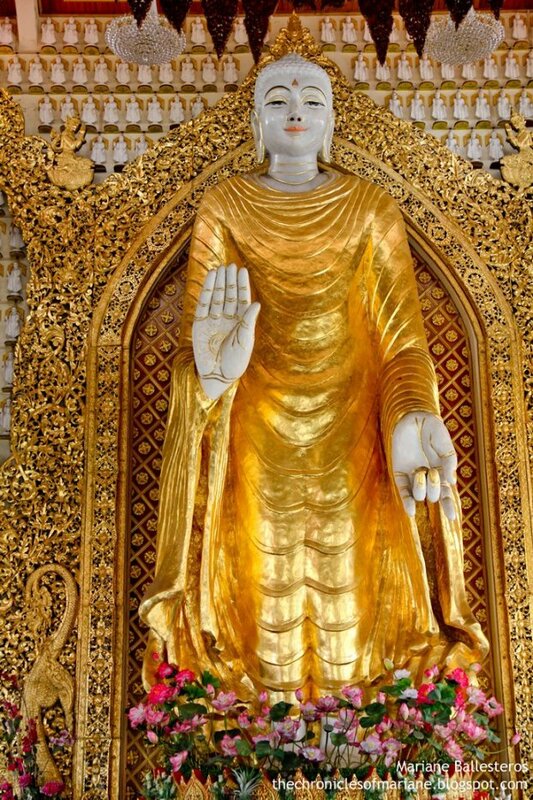 The impressive display of Abhaya Mudra, Buddha's hand gestures that impart fearlessness, reassurance, protection and blessing. 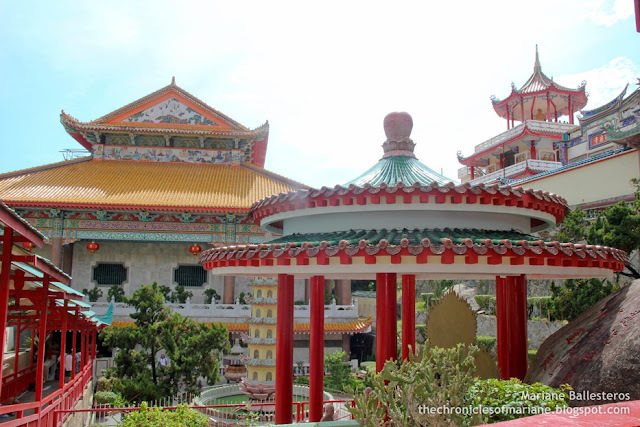 The courtyard offers nice views of the temple's landscape and also interesting collection of mythical beings and religious icons. 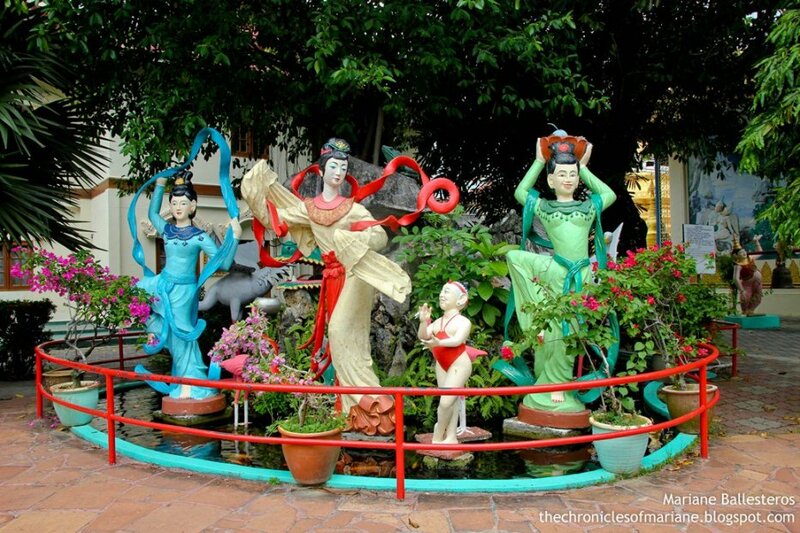 I wasn't that familiar with them yet so I took photos to be able to learn about them after the trip. 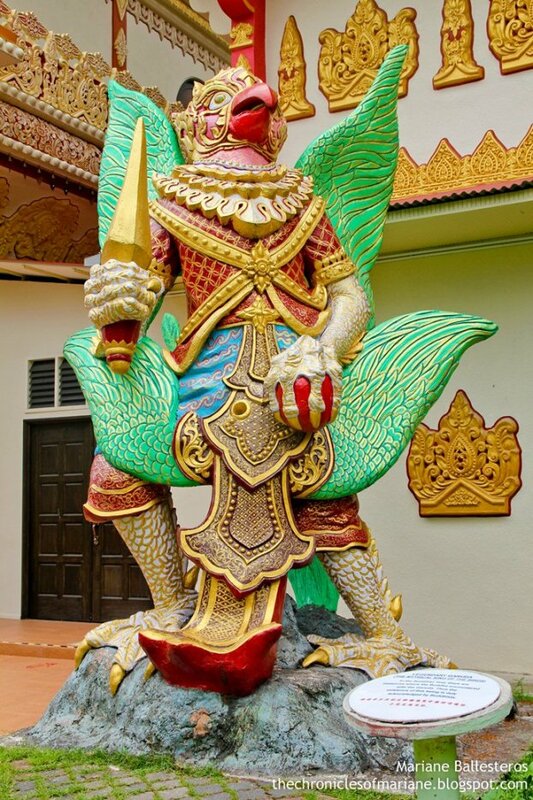 two winged figures called the Panca Rupa that serves as the The Guardian Protector of the world. Note that it possesses trunk and tusks of the elephant, four hoofed legs and two ears of the horse, face of a chimera, a deer's horn, the body and tail of the fish and the two powerful wings of the garuda. Beside me is a mural that depicts the depicts the Great Renunciation of Prince Siddharta Gautama. He is shown riding a stallion in mid-air. 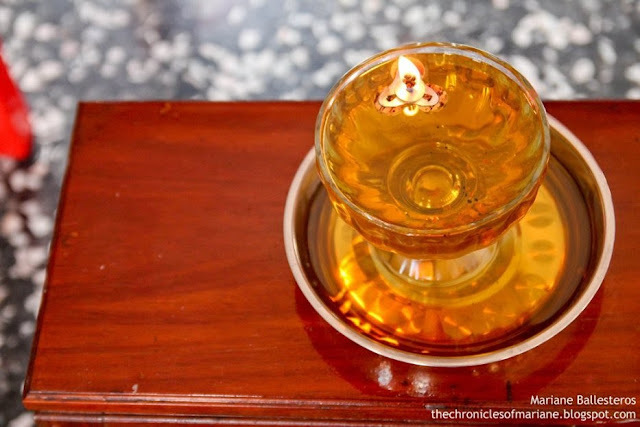 He has renounced all his worldly possession to seek Supreme enlightenment. 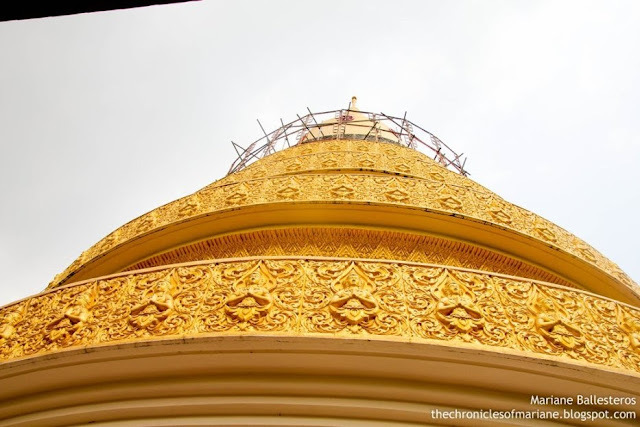 One of the newer additions to the temple's compound is this four-storey pagoda called the Golden Pagoda Bell Tower. 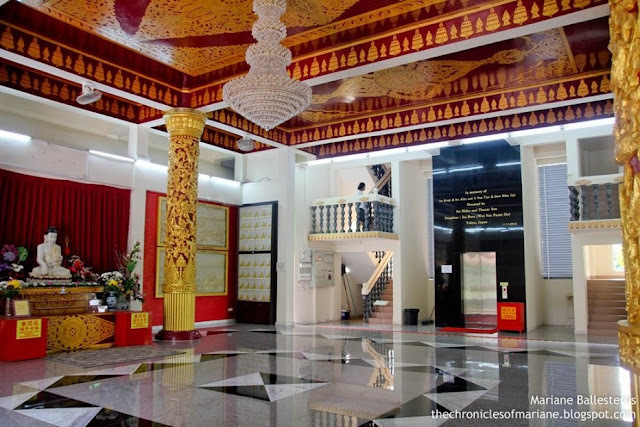 It looks very sophisticated with its interior design and even has its own elevator inside. 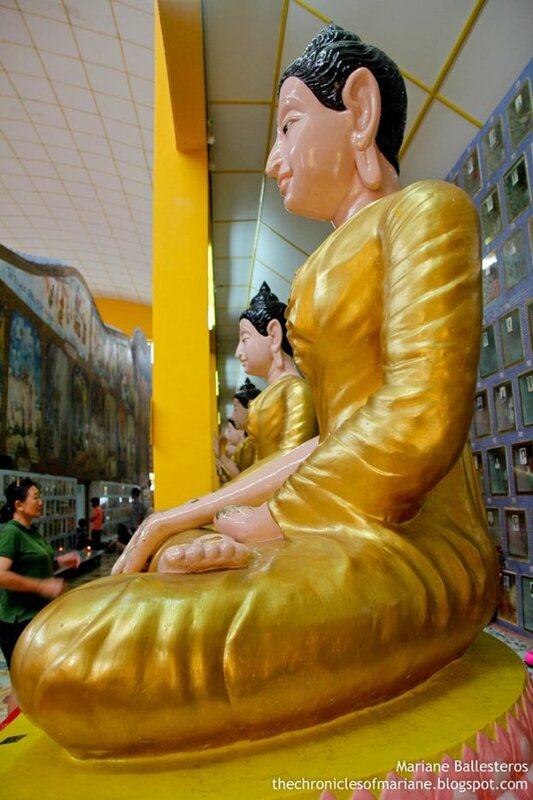 Featured within the building are various statues of Buddhas, Kuanyin, devas and devi produced by Burmese artists. 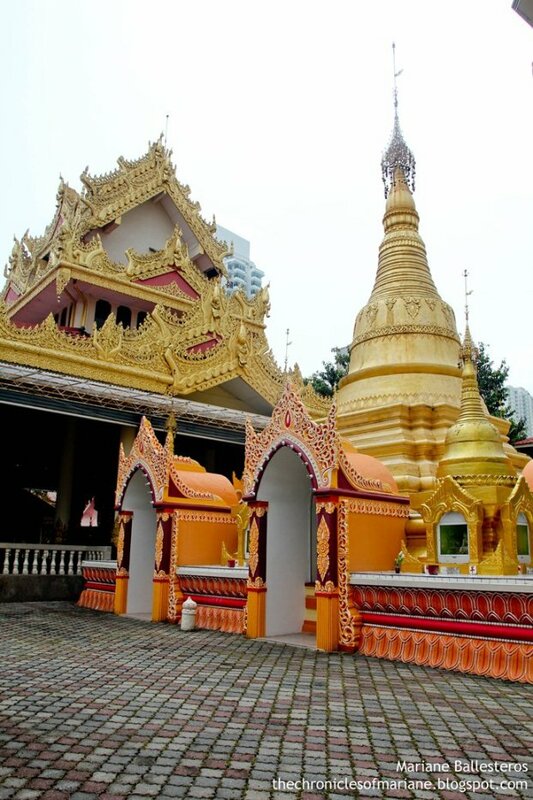 Atop, you'll sure to be rewarded with a majestic view of the temple grounds and its neighbor Wat Chayamangkalaram. 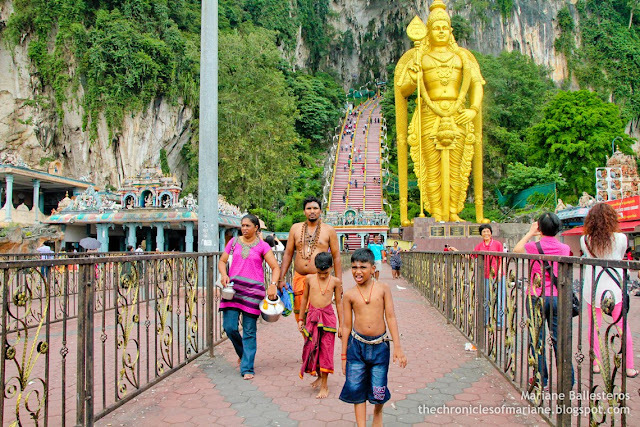 I could not ask for a better way to cap off my Malaysian trip than to visit these two beautiful temples. The tranquility and calm ambiance of both sites sure eased up the tired soul of this weary young traveler. serene view to calm my nerves! 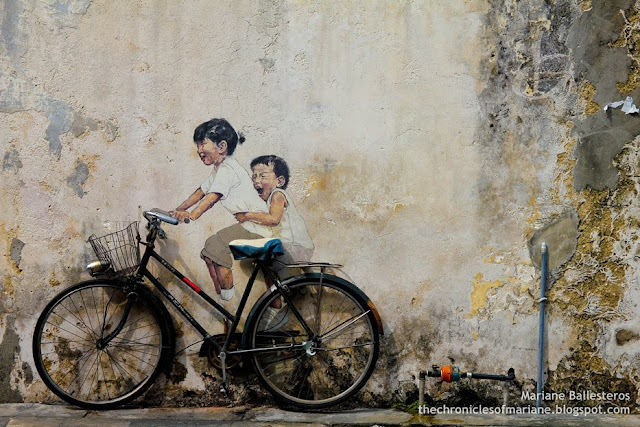 surely felt that Penang was worth my time! Take Bus numbers 10, 103 and 104 and alight at Lorong Burmah, you may also tell your driver to drop you off at one of the temples.